Bergamot is a type of orange tree grown in Italy and used for everything from pesticides to perfumes. This fresh and clean smelling essential oil is great for treating urinary tract infections, acne, oily skin, eczema, psoriasis and cold sores. 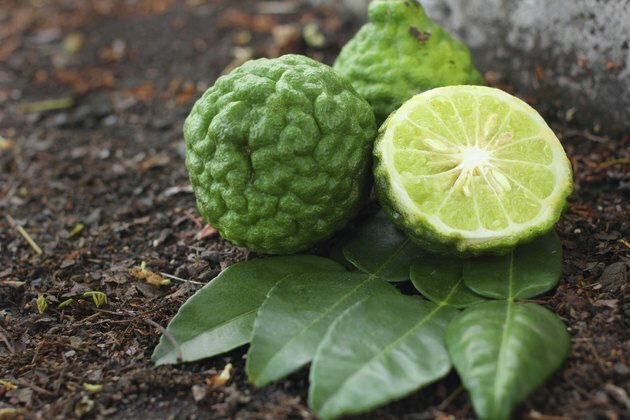 Laboratory studies testing the potential of bergamot essential oil (BEO) to treat various diseases have showed early promising results, primarily in animals and in vitro. An April 2009 issue of the “Journal of Applied Microbiology” reported on a study that used a blend of orange and bergamot essential oils in vitro to gauge its effects on two bacteria strains resistant to vancomycin. The positive results led the researchers to conclude that the oils markedly inhibited bacterial growth and could lead to an alternative to chemical-based bactericides for use against these strains. Studies in animals in Italy found that BEO showed signs of antifungal activity against both the yeast-like alga Prototheca and various Candida fungus strains, primarily suggesting the potential role of bergamot oil for the topical treatment of Candida infections. A study in Italy evaluated the effects of the antioxidant component of BEO on carotid arteries in laboratory animals that had been injured after balloon angioplasty. When the animals were pretreated with the oil prior to angioplasty, the harmful free radical activity in the arteries was significantly reduced, leading to the possibility that these natural bergamot antioxidants may be helpful in the treatment of vascular disorders. Bergamot essence is frequently used in aromatherapy preparations. A Korean study took a look at potential benefits of using bergamot on blood pressure and pulse rate, with their results showing that the inhalation of essential oils including bergamot can be effective at helping to reduce psychological stress responses, serum cortisol levels and blood pressure in patients with hypertension. A Chinese study looked at a combination of boxthorn and bergamot oils on the skin and on hair growth in mice. Compared with control group, the extract increased the activity of the antioxidant enzymes superoxide dismutase and collagen in the skin, as well as promoting hair growth. These are very preliminary results, however, and caution should be taken since bergamot oil is known to cause blisters, sensitivity to the sun, and scab formations when applied directly to skin in humans. The effect of BEO on brain damage in rats was investigated and published in the “International Review of Neurobiology” in 2009. The study found that the oil extracts resulted in a significant reduction of tissue death throughout the brain, especially in the medial striatum and the motor cortex areas. Additional research showed BEO reduces neuronal damage caused in vitro and that this neuroprotection was associated with prevention of injury-induced engagement of critical death pathways.